It's hard to believe the new summer season of art fairs and festivals is fast upon us! It seems like the Havre de Grace Art show and the Del Ray Artisan Holiday Market were only a few weeks past instead of several months ago. Where does the time go? Well, I've spent these long cold months at home ARTING. And now I'm ready to break out and show off the new work! I love the term ARTING. 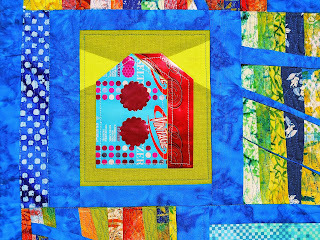 The first time I encountered the word was in Quilting Arts magazine. As soon as I read it, I thought YES; that's what I'm doing when I'm creating....I'm ARTING. 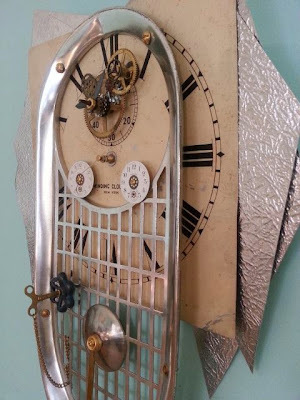 I thing it's a great word that totally explains I'm working in a contemporary fashion with unconventional materials or methods. Recently I've seen other artists on Face Book using the word ARTING to describe their creative time. I really hope others will embrace the term and pass it on again. When you're a painter, a sculptor or a composer it's easy to tell people what you're doing in your creative space or time. 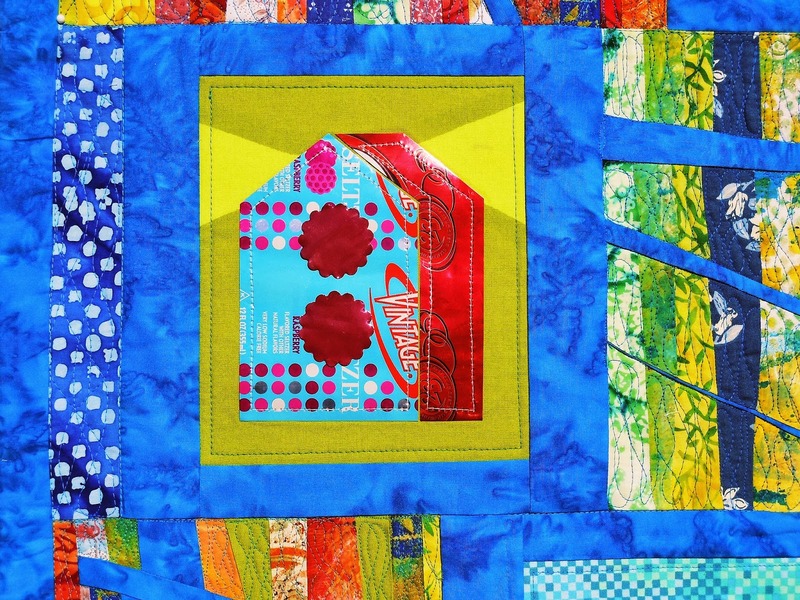 But when you're a fiber artist or a mixed media artists, how do you explain what you do?. 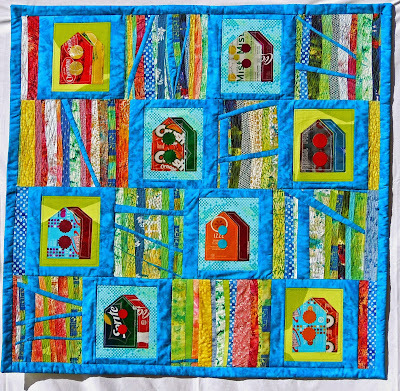 Telling a close friend or co-worker that I've been sewing or quilting always sounds so old fashion. And telling anyone that I've been nailing rusted auto parts to a dirty wood box from a barn really leaves them in a state of confusion. So I leave out the details when someone asks what I did last weekend; and instead I tell them spent time ARTING! New ART for the new year..........Birdhouses for the Soul. 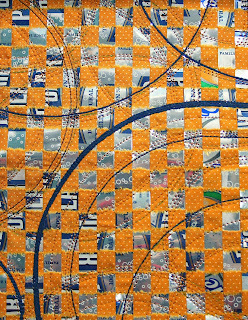 An art quilt created for and accepted into the 2015 Sacred Threads Art Quilt show occurring this summer in Reston, VA. 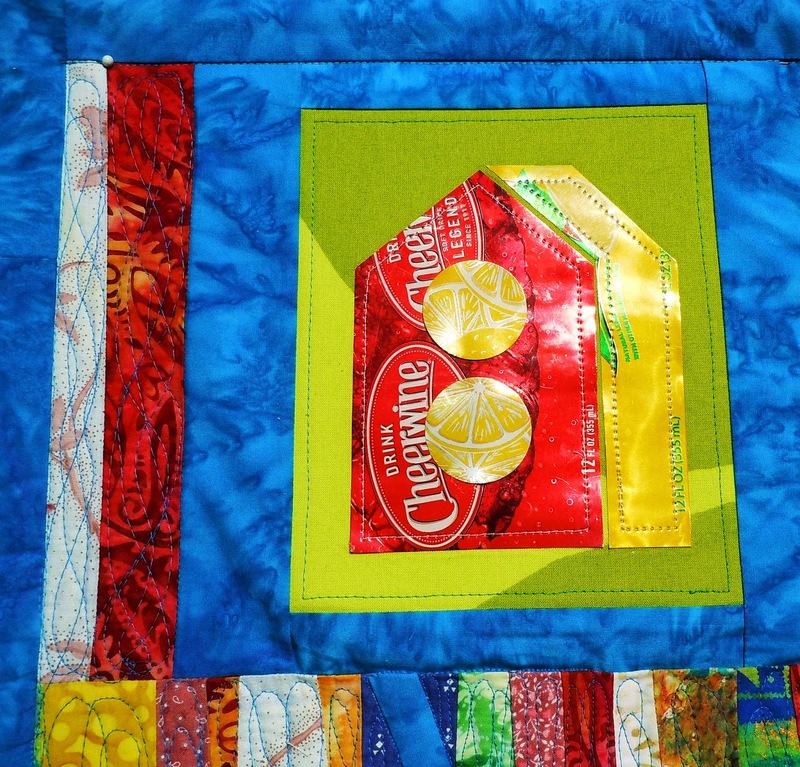 The quilt is 40"x40" with 8 unique bird houses, each made from soda cans stitched to a background fabric. 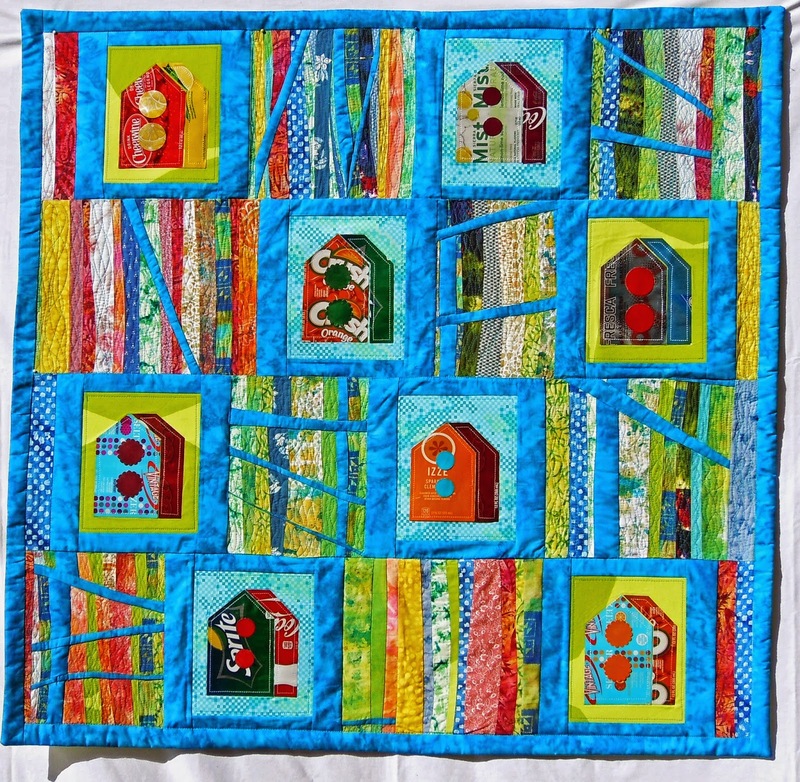 The machine quilted blocks between each bird house are cut in the Rayna Gillman style of Free-Form Quilting. Each block was then randomly split to give the illusion of trees and branches in this colorful happy forest. I spent time this winter experimenting with new quilting designs and I definitely think I will keep expanding on this technique. I've tried a circles in the past, and stitched free motion, free form flowers but this was the most fun I've had doing it so far. I used the end of a plate to capture the curve and then did echo stitching.. 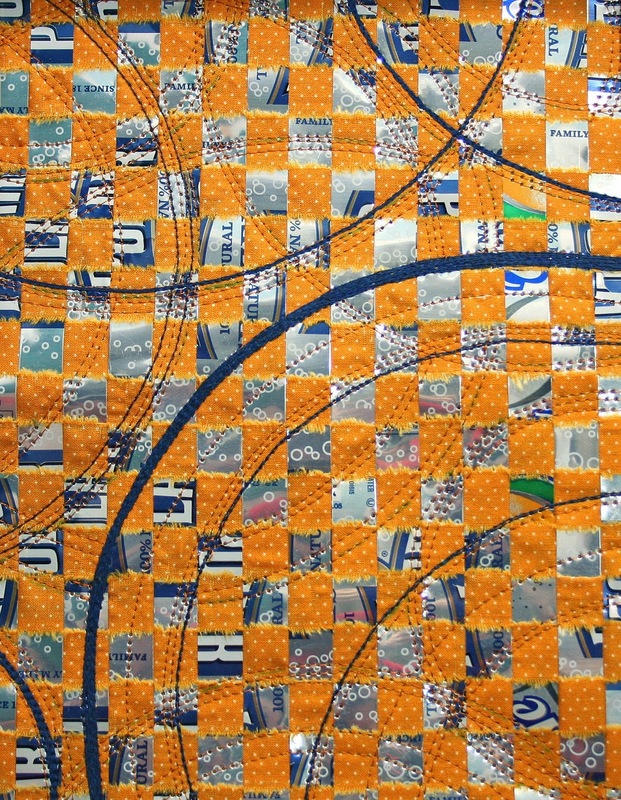 Since a lot of my work is quilted with a walking foot and I typically do conventional squares or diagonals. So laying down circles was a challenge and I enjoyed it. 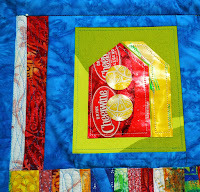 This piece is old gold cotton woven with Polar Seltzer soda cans. To bring out the blue graphics on the can I used navy thread. The pattern started with a dinner plate. After drawing and stitching the first outline, I used my walking foot to echo stitch the other lines. New ART for the new year..
To stretch myself even more this winter I explored the world of 3D assemblage. 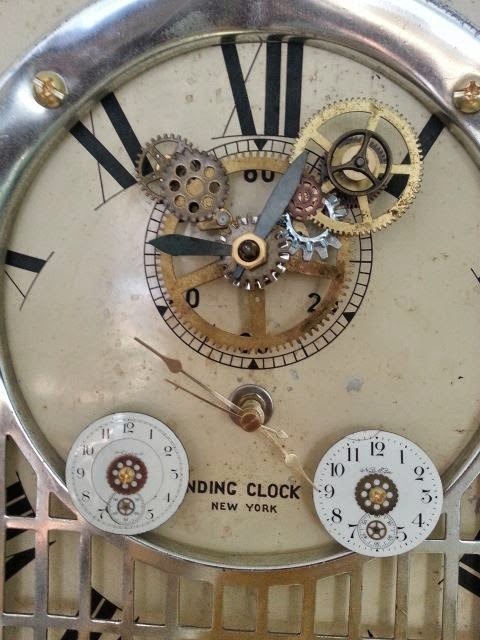 Over the years I've collected a lot of interesting bits and pieces of material....the usual wood spools, clock and watch parts, marbles, tin cans.......and more. 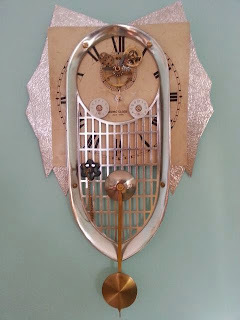 and found parts into something completely new!. from an antique mall in Staunton, VA.
boxes from that barn. This one is also a working clock. The two boxes are both hand made. I bolted them together and covered the bolts with vintage quilt scraps. 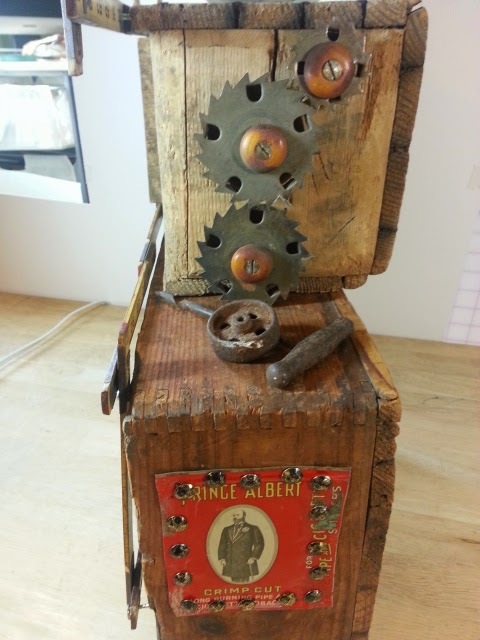 The Prince Albert can is an homage to my maternal grandfather Henry Vickers of Elkview, WV; a man who always had Prince Albert in a can.......as the old joke goes. 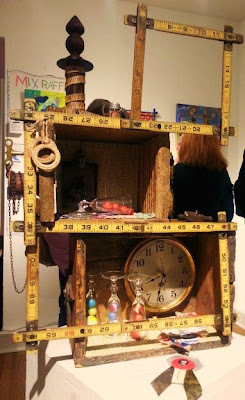 This piece was give a Curator's Award at the current Del Ray Artisan Gallery show MIXED.